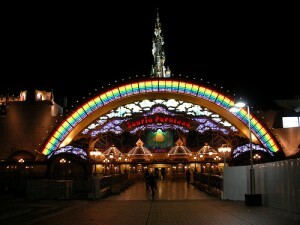 Sanrio Puroland is the indoor theme park that features the Sanrio characters. The park has a main stage in the middle, 4 theaters, attractions, restaurants and gift shops, where you can get exclusive goods that you can’t find at the other Sanrio shops. The characters in the Puroland are Hello Kitty, Cinnamoroll, My Melody, Kuromi, Lille twin Stars, Keroppi, Pochacco and so on. You can see them in the shows or restaurants but if you want to see Hello Kitty privately, you’d better visit her house and take picture with her! Wedding ceremony is available in one of the theaters. The plan starts from 210,000 yen. 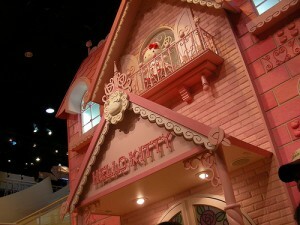 If you want Hello Kitty and her boy friend Daniel to celebrate you two, this is the place!